In their inaugural season, the Middle School Girls Basketball Tigers brought home a first place championship title to Bay Ridge Prep! The 81st Street Gym roared with pride on Feb. 7 as the Tigers soared over Brooklyn Friends to earn their first banner along the gym walls. The Tigers entered the championship game with strong momentum and an impressive 8-1 record had them tied for first place in the Independent School Athletic League. Finishing the season 9-1, their historic victory marks the first time a Bay Ridge Prep team has had a championship season in their first year of existence and only the second time a Middle School team has finished a season at the top of their league. 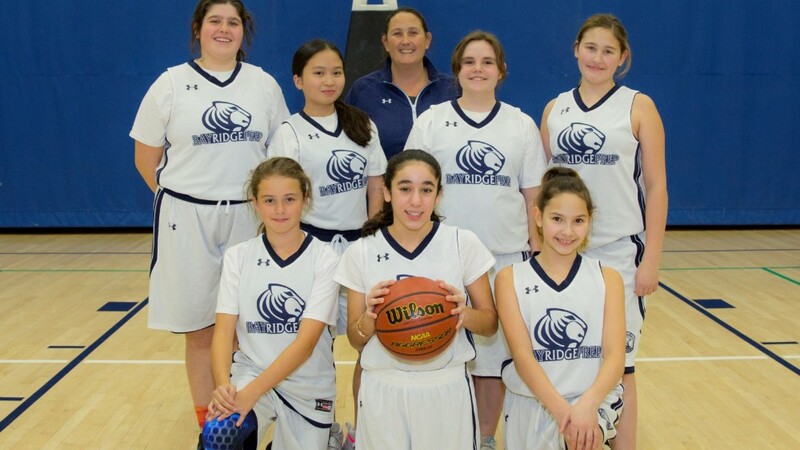 The inaugural Middle School Girls Basketball Tigers is comprised of Raquel Mizrahi, Hailey Parcell, Ryann Parcell, Brianna Robles, Bess Sipp, Alyssa Tran, and Phoenix Ward with Laura Parcell serving as coach. A thunderous round of applause at Lower & Middle School Town Hall on Feb. 8 helped celebrate the team's win. Founded in 1998, Bay Ridge Prep is an independent, K-12 college preparatory school offering exceptional courses and intimate class sizes in a socially-mature and positive environment.